We know that looking over prices is one of the most important considerations in choosing the best company for your house. We use a step by step process for every house we quote. This keeps our service prices fair and competitive. Our estimates are FREE so call us today or fill out the form at the bottom of the page. No one want to overpay for something they can find a great deal on, and we want to be that great value to you. We use a glass surface counting system for our pricing. 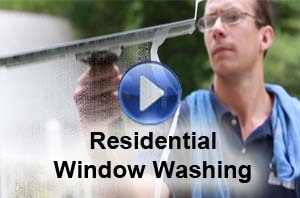 The more windows you have or want cleaned the more your glass washing will cost. We don't play games using bait and switch pricing tactics. We try to be as honest and upfront as possible with our glass washing prices so you'll have ALL the options you need in price and service. It is sometimes a good practice to receive multiple bids for the work you are looking to have done. This ensures that you are getting a competitive rate and the company that you choose will be up to your standards. 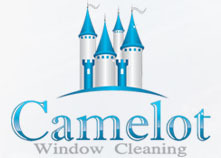 We have a range of window washing service prices starting with outside only of the glass and exterior screens; to doing it all, the interior and exterior of the glass, washing your screens and wiping out your plastic or wooden tracks. Whatever the need, we have a service package for you. Everybody in Nashville loves to have something new or fresh in their house, and now you can have that refreshing crystal clear look all around your house for a low price. When you schedule a price quote with us, we'll set a time to come to your home and count up your windows, price out the work you want done and leave you an estimate on the spot. We are excited to meet and talk with you. 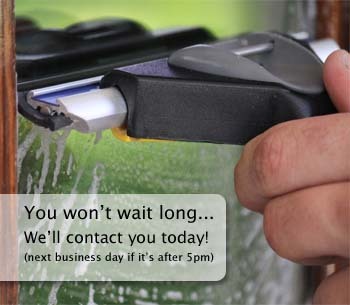 If you are going to be busy, just let us know and we'll leave your estimate in the front door. 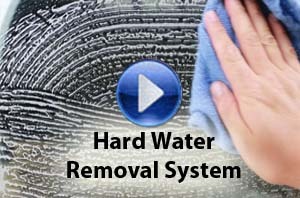 So call us today to schedule your free estimate. We are excited to serve you and your home. Don't forget to ask about our seasonal specials, or package deals that we might be running at the time you call us. We don't ever plan on having the lowest prices in Nashville, but that is not because we are willing to overcharge. As a company we are strong believers in high quality work. World class even. That is our customer base and our primary client. At the same time we are excited to compete in the glass washing market place, and so to do that we must keep our pricing "relevant". Camelot has successfully done this for the last six years now. And we're still strong in all the categories that we started out in, prices and our amazing washing talent.